Tax returns as an act of empowerment? Your balance sheet as a statement of your independence? I can’t say I’ve ever considered my quarterly and yearly bookkeeping tasks in such a light. Have you? 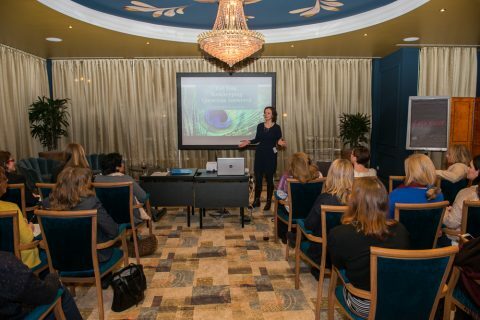 Well, if you were at the WBII March networking event on 22 March, you may just start seeing your dreaded bookkeeping administration differently. 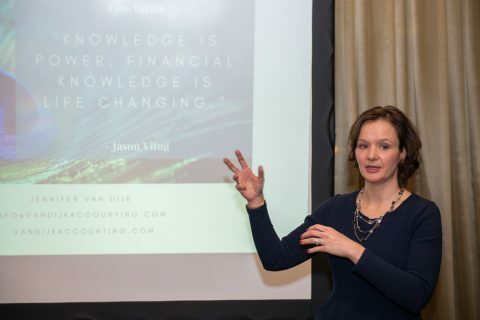 In her presentation, Jennifer van Dijk explained why being on top of your finances is emancipatory: in a nutshell, it changes the dynamic of external, and specifically male, control of what you do and how you do it. Quoting Jason Vitug – ‘Knowledge is power. 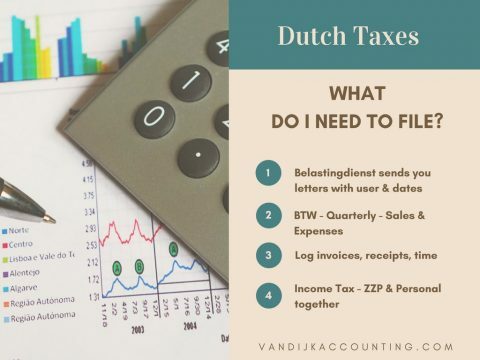 Financial knowledge is life changing’ -Jennifer took us on a ‘tour’ of the Dutch tax system, explaining the basics such as how you can be classified as a business for the KvK but not the tax office (the number of hours you spend working on our business), when you qualify for self-employment and owner tax deductions (number of years in business), which expenses you can deduct and when (loads of stuff, though unfortunately not your gym subscription or your), how BTW works (your clients pay it to you and you reclaim from the tax office! ), and other such financial essentials. With such a complicated and, if we’re honest, not very stimulating topic (hands up if you enjoy doing your quarterly BTW returns!) it was great to have someone explain how it all works and answer your questions along the way (any questions Jennifer didn’t have an immediate answer to, she took away with her and added to her presentation). And knowing the ins and outs of the Dutch tax system and how it applies to you is, of course, where the empowerment element comes in. Because if you are on top of your financial administration, you truly hold the reigns of your business – you know how much you’re making and what you’re spending your hard earned money on. 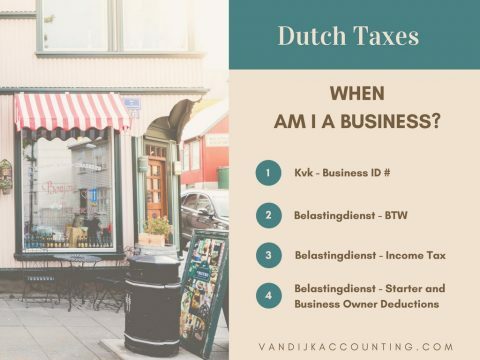 And you know how to make the most of the possibilities offered by the Dutch tax system to small business owners. For Jennifer, numbers, like a book, tell a story, and tax returns are the film of the book. Knowing how the tax system works and how to get the most out of it puts you in the director’s seat. You call the shots and you’re in control – and that really is empowering!